Whether you are traveling with someone who requires special assistance or are among one of the first time cruisers on a ship who has a disability, you will find the following information helpful. Disabled friendly cruises make it possible for disabled people to enjoy travel that is both convenient and accessible. If you want to take a cruise and are disabled, you can do so without too much trouble. You just need to know what steps to take to streamline the booking process. It is important to communicate openly with the people who book your trip to ensure that your needs are met. When reviewing the booking information for disabled friendly cruises, you need to inform the travel agent about your medical or mobility needs. The cruise line will also need you to fill out a medical form. This is done so that you can receive the best cruise experience possible. You need to communicate with the airline about your mobility needs as well. If you require specific equipment such as a medical fridge, inform the airline in advance. To obtain a disabled access cabin, travel experts advise that you book early. Once you have communicated your needs, it will be easier to choose a ship from the disabled friendly cruises that are featured by travel agencies. Because accessibility varies from one cruise line to the next, you need to review your choices scrupulously. Generally, it is best to select a newer ship. However, it is still okay to choose an older ship that has been refurbished. 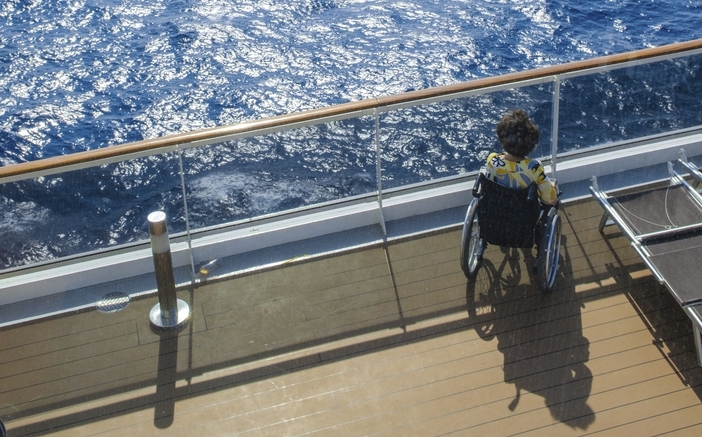 Normally, renovated ships are made more accessible for cruisers with disabilities. Ask about the width of the doorways to confirm the accessibility level. Search on the Internet and review the available cruise lines by adding the words, “accessibility” or “special needs” in the browser. Many cruise lines feature a department that can assist special needs passengers. Once you receive this information, you can better communicate your needs and your trip interests with a travel agent. Even if the travel agent can handle most, if not all, of your requests, if still is a good idea to learn more about the different cruise lines and disabled friendly cruises. Accessible cruises for people with disabilities allow disabled people to enjoy all the amenities of a five-star hotel. Therefore, they make cruise travel a joy for anyone who wants to savor a relaxing and memorable vacation. Guests can enjoy on-board entertainment each day and can visit cruise destinations that are exciting and beautiful. Therefore, you will probably have some questions after you scan some of the information about the disabled friendly cruises that capture your interest. For instance, you will need to verify the cost and inquire about what is included in the price. Finally, make sure your accessible cabins meets all your needs before confirming the date of your trip. Now that you have a basic understanding of how to book a cruise trip, you can talk to a travel agent or a cruise line today. Book a vacation that you will not soon forget.